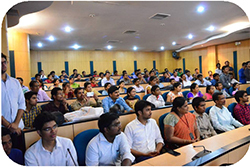 University has various seminar halls to accommodate different sizes of conferences or events depending on the requirement to conduct international / national conferences, workshops and mini workshops. Participants to connect their laptops to network and power switches at their seats. LCD Projectors and Audio System. 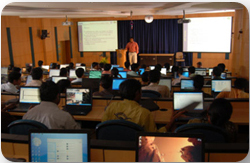 Facilitates Video-Conferencing and network Training. Equipped with LCD projector with system in network.